American Airlines and Orbitz have kissed and made up and are back together. American briefly pulled its fares off the online travel agent last week in a dispute over booking fees, but the two partners reconciled within three days. In a statement, “We are pleased that our long-standing relationship with American Airlines allowed us to quickly resolve business matters and that we continue to offer a broad range of options, including American Airlines and US Airways flights, to the millions of shoppers who book travel on our global sites each day." So what does the reconciliation mean? Well, just like with any on-again, off-again couple, the two can’t live without each other. The problem is in the give-and-take. 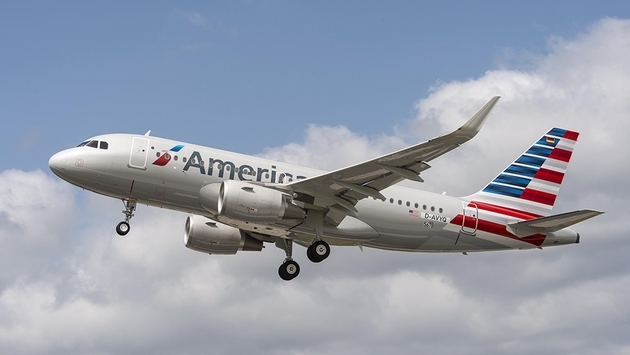 American on Aug. 26 announced it was pulling its fares off of Orbitz.com and its affiliates, effective immediately, and that its merger partner, US Airways, would pull its fares from Orbitz effective Sept. 1. Combined, American and US Airways account for 25 percent of the domestic air travel market. American said it could not come to an agreement with Orbitz on a new contract. “We have worked tirelessly with Orbitz to reach a deal with the economics that allow us to keep costs low and compete with low-cost carriers,” American Airlines president Scott Kirby said in a statement. Orbitz, in an equally confident statement, basically said it would funnel American’s business to other airlines. Truth be told, though Orbitz’s shares took a brief stock hit – more so than American Airlines Group – the break-up was not good for either party. American, and every other airline, wants a better fee structure. Frankly, it would love to take all its sales in-house on its own website. It would save on booking fees it pays out to the online travel agencies and pad the airline’s bottom line. But that’s not possible when the Orbitzs and Kayaks of this world offer consumers comparison shopping. Orbitz, for its part, is just like any other company looking to build profit. It pushes the ceiling to the point where it thinks it can get a certain fee from the airlines. In the end, it’s supply and demand. American Airlines is supplying seats to Orbitz that it generally wouldn’t be able to sell on its own.